Good morning all! 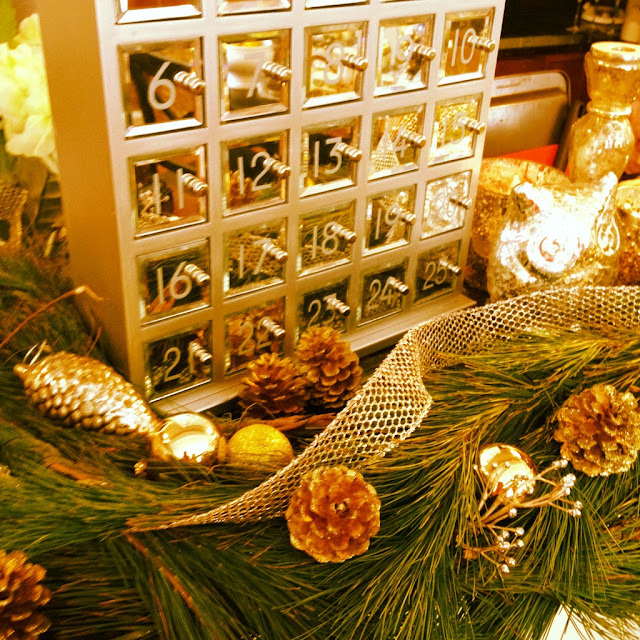 We are guest posting over at SavorNC today and we are sharing some quick, easy and affordable ways to make your home festive for the holidays. Here is a little sneak peek of what you might see over there. 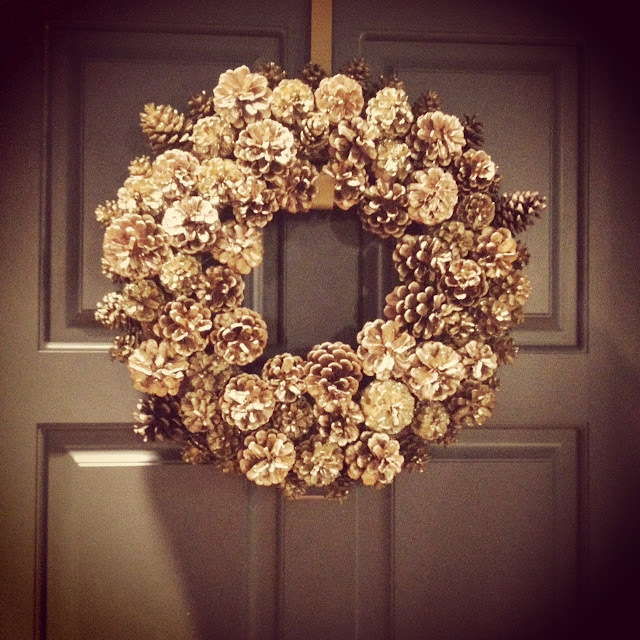 Disclaimer: You all will have to check back for the DIY tutorial on this glammy gold pinecone wreath. Be patient readers. Patience. 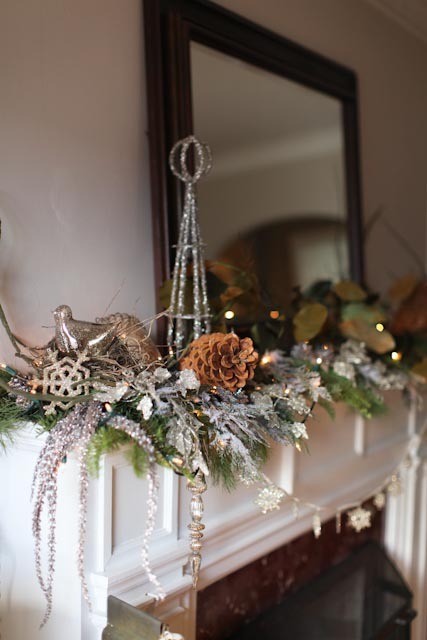 We are also showcasing a dear friend of mine's mantle that she fashioned herself for the holiday season. She is so crafty! Let's get to work! Head on over here. I'm adoring those ideas!!! And stop by my blog and enter the giveaway! Can't wait to go see your guest post! What beautiful pics, love seeing a pinecorn all dressed up in gold! It's all SO pretty- that wreath is beyond gorgeous! 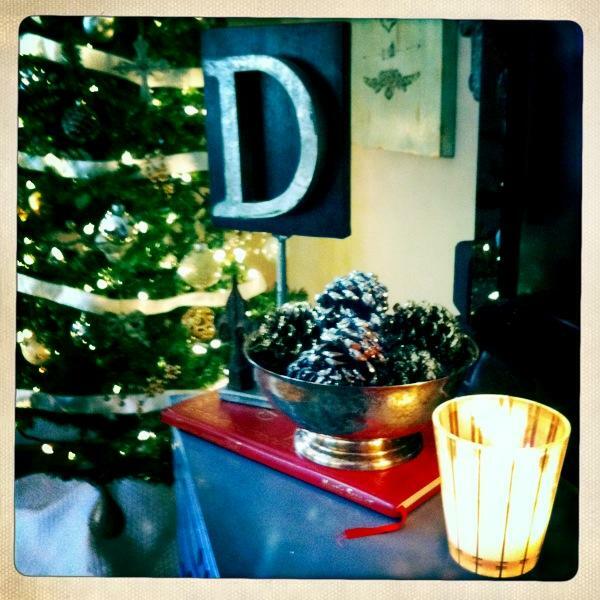 Can't wait to see the DIY for the wreath!! It's gorgeous!